LOS ANGELES - Toronto producer J. Miles Dale won the best picture award at Sunday's Academy Awards but almost missed out on delivering his very first Oscar speech. 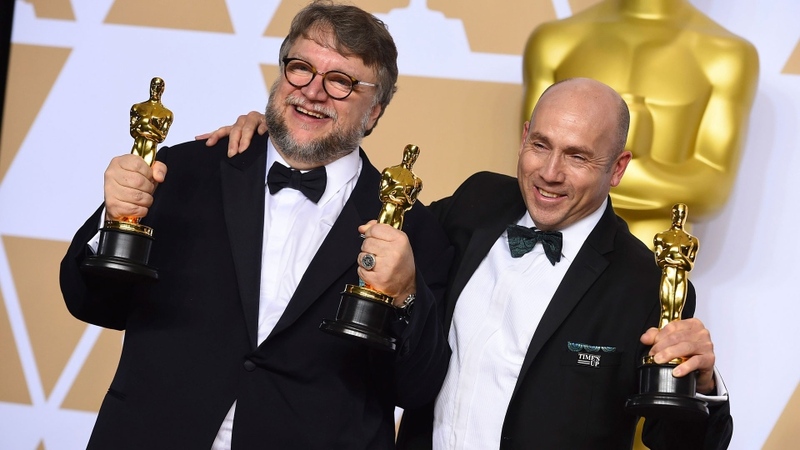 Dale shared the Oscar with “The Shape of Water” director Guillermo del Toro but found his microphone was cut off when it was his turn to say a few words. The two are now working on new projects, including a film for Fox Searchlight and a Netflix series. Canadians Paul Austerberry, Jeffrey A. Melvin and Shane Vieau shared the trophy for crafting the look of the Cold War-era merman romance. Austerberry is credited for production design while Melvin and Vieau did the set decoration. Speaking to reporters backstage, Vieau noted that Toronto's screen community had a huge year not only with the leading 13 Oscar nominations for “The Shape of Water,” but also the accolades for TV's “The Handmaid's Tale,” which was shot in the city. 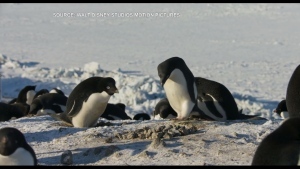 “I have 35 years in the business now and worked in Toronto almost exclusively, so I've worked with and watched the business grow in Toronto and go from children's television to Academy Award-winning films,” said Melvin, who is based in Toronto. As they accepted their trophies onstage, the trio thanked their colleagues back home in Toronto. “Thanks to all the Canadian crew who are partying right now at the Palais Royale in Toronto - this is for you,” said Austerberry, who was born in Toronto and grew up in Sault Ste. Marie, Ont. It was the first Oscar nomination for the trio, who also won in the same category at the recent British Academy Film Awards. Besides del Toro and the film's cinematographer, most of the crew who worked on the movie was Canadian. “The Shape of Water” stars Sally Hawkins as a mute janitor who falls for a captive and abused amphibian creature, played by Doug Jones. 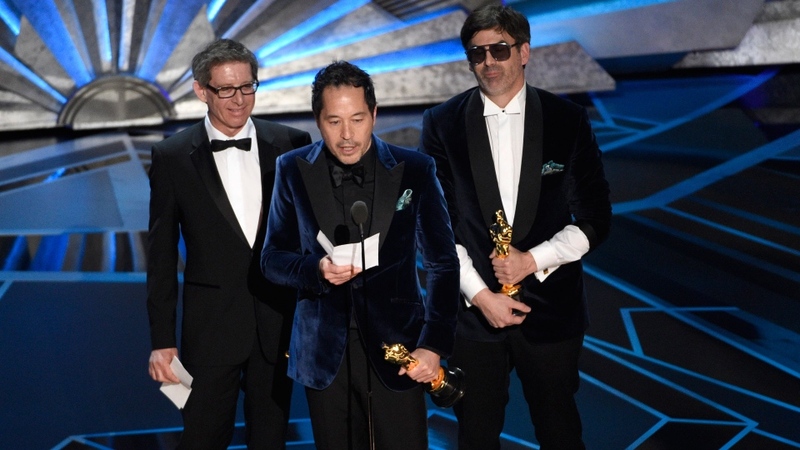 “Thank you to Denis Villeneuve, whose guts are seen in every frame of this film, especially the visual effects,” said John Nelson, who won alongside Gerd Nefzer, Paul Lambert and Richard R. Hoover. Kimmel made a couple of jokes about the 88-year-old Toronto native's age, including a reference to the hit Broadway play “Hamilton,” about one of the founding fathers of the United States. “How does ('Hamilton' creator and star) Lin-Manuel Miranda compare to the real Alexander Hamilton?” Kimmel teased Plummer from the stage.